This Is Now Agency is back with their sixth and final event of the year and they have pulled out the stops for their first ever nine-­‐hour event in Brighton. In true This Is Now fashion, the line up will feature world-­‐class acts from the Agency Roster and very special guests to create a night filled with live bands, DJs, singer-­‐ songwriters, a world class Beatboxer, comedy and a game of bingo hosted by a badger.. Although the headliner is yet to be revealed (and it doesn’t take a genius to work out who from the Agency it could be! ), the announced line up is sure to sell out The Haunt on its own merit. 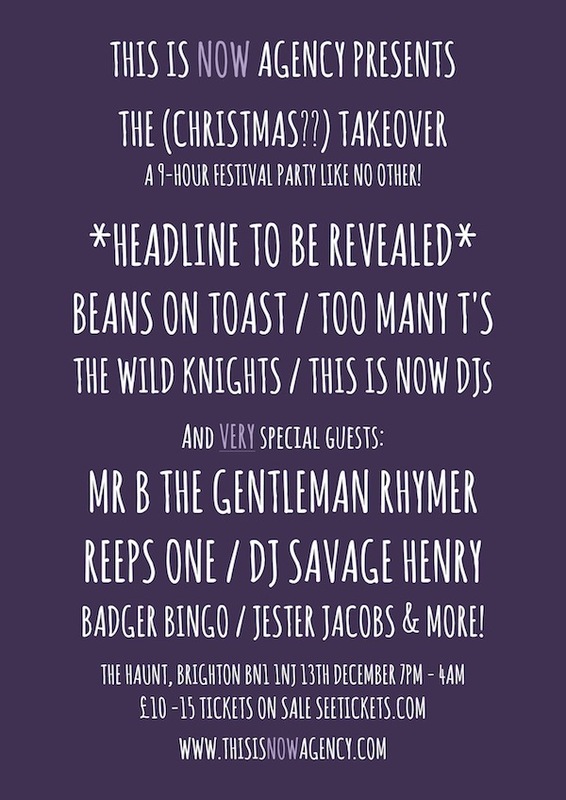 From the agency roster; Beans on Toast will be launching his brand new album Giving Everything, Too Many T’s will be stopping off for their second Brighton show on their #Beats We Wish We Had Tour and Brightonian, The Wild Knights, will be rounding up the night with some Deep Bass music. The very special guests couldn’t be more special: Mr. B The Gentleman Rhymer will be spreading the good word of his new Long Player, Can’t Stop, Shant Stop on his Brighton tour date and the groundbreaking, twice UK Beatbox Champion that is Reeps One will be heading down South for his Organic Electronic Tour. But, the line up doesn’t end there. There is comedy, bingo and a whole host of DJs too. Badger Bingo will be entertaining the early revelers and Jester Jacobs, the YouTube sensation, will be making an appearance along musical treats from DJ Savage Henry, Nanna’s at the Disco and the This Is Now DJs. All in all, the line up features two album launches, four UK tour dates, four DJs, an up-­‐and-­‐coming comedian, a game of Bingo and a headliner that is yet to be revealed. What is not to like? Tickets for the event WILL sell out so do not delay in getting yours. Prices start at £10 and can be purchased through www.seetickets.com. This Is Now Agency are proud to Present High Cross Society. HCS are a ‘super group’ made up on some of the freshest up-and-coming live acts from London. The 9-piece band are made up of members of Lazy Habits, More Like Trees, Fjokra, Reeps One and some very special guests. 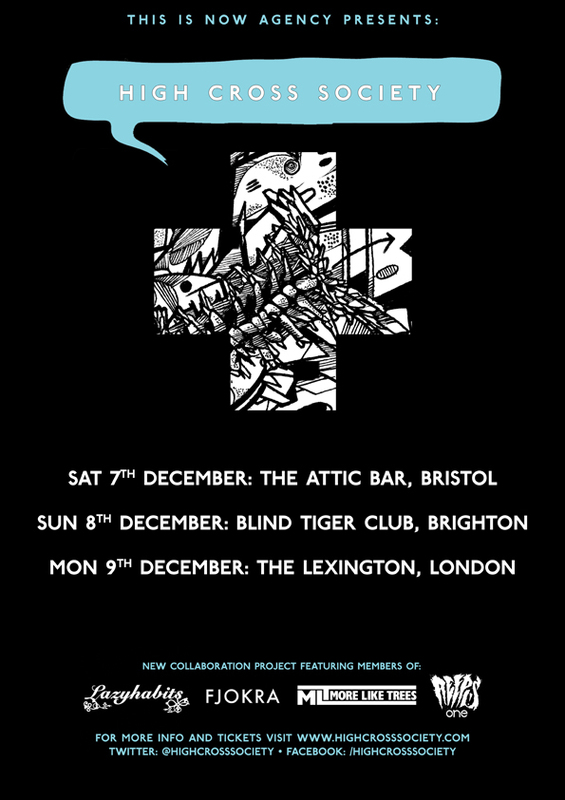 The band play three exclusive shows in Bristol, Brighton and London and tickets are limited to each show. If you want to see the bands first shows, do not delay in buying a ticket. Details below. 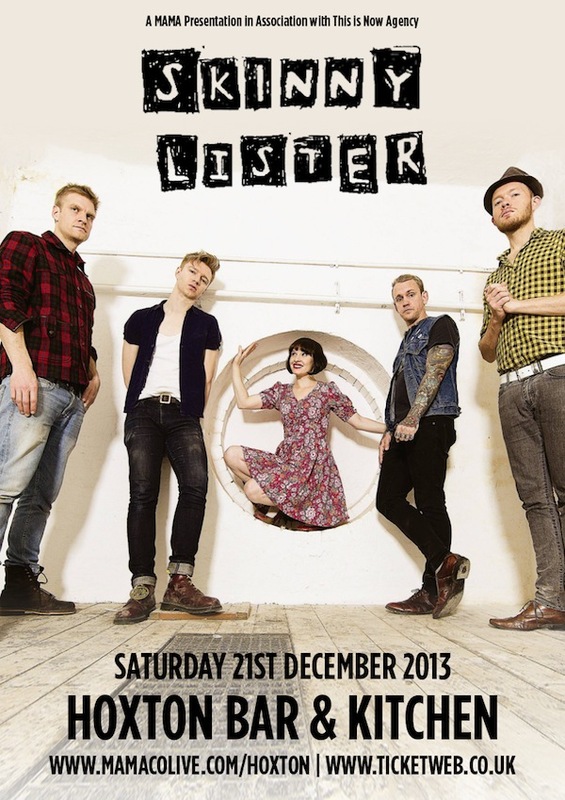 Skinny Lister will be playing an intimate London Christmas show this year at the East London venue, Hoxton Bar & Kitchen. Tickets go on sale at 9am Friday 4th October.